Africa is famous for its abundance and variety of wildlife, making it a great attraction for hundreds of thousands of visitors every year. In many ways it is a continent of records. The author has produced a book of amazing records, facts and did-you-knows that cast new light on our extraordinary continent. From lists of 'largests' and 'smallests' to detailed accounts of exceptional features, we are introduced to a vast range of facts about the world around us. A fresh design and light-hearted illustrations make the title highly accessible to both young and old. 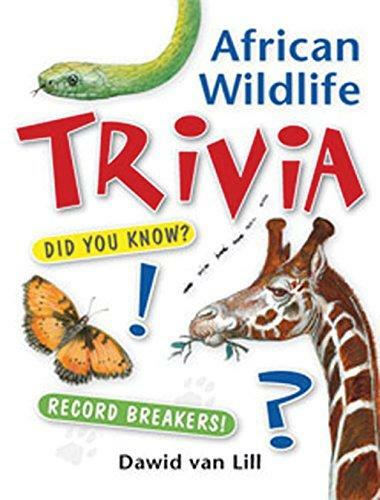 For serious trivia addicts, casual browsers, those seeking out specific information, or as an aid to spark ideas for further research, African Wildlife Trivia will delight and intrigue a wide readership.